We are already successful, clients lining up out the door, why do I need to rebrand? If you dig down and can’t find any pain points with your current branding then the decision is clear, why fix it if it ain’t broken right? But if you start to think long term in the next 5 years will your market position change? Are there any threats, new or bigger competitors with bigger brands and budgets that will compete for your market share? This is extremely important for start-ups as most come across pivot points and position themselves lower in the market unintentionally just by lack of investing in a decent brand identity from the beginning. But on the other hand, if none of these issues come up for you or you can’t see them popping up in the near future, then maybe stick what you currently have. There’s nothing wrong with a bit of D.I.Y, I’ve been there with not much capital in the beginning and having to be resourceful. If you don’t have the budget then there are other options to get the bare minimum. Hire graphic design interns with a good portfolio. Use sites like Fiverr, Designcrowd and 99 designs. But like with anything in life, you get what you pay for. The bare minimum your branding needs to achieve is convey your brand message and positions yourself in the right section of your market. To visually see this, look at your current market space and line up your competitors from the low-end all the way to the high-end and see where your brand visually fits between all these other companies. Compare your branding with others, see how their branding translates to the rest of their marketing collateral. Does their branding work well on their website, brochures and now compare with your current brand identity. Look around, can you find a top-tier company without a professionally designed logo? Also make sure your self-designed logo checks off the following, if not be prepared to fork out money for a designer to fix your mistakes. Logo is in a vector format – so it can be scalable in various size. Work well in black and white, monochrome and different types of backgrounds. Is legible at various sizes. Colour matching for both print and web. Have the required file types for external suppliers or other designers. 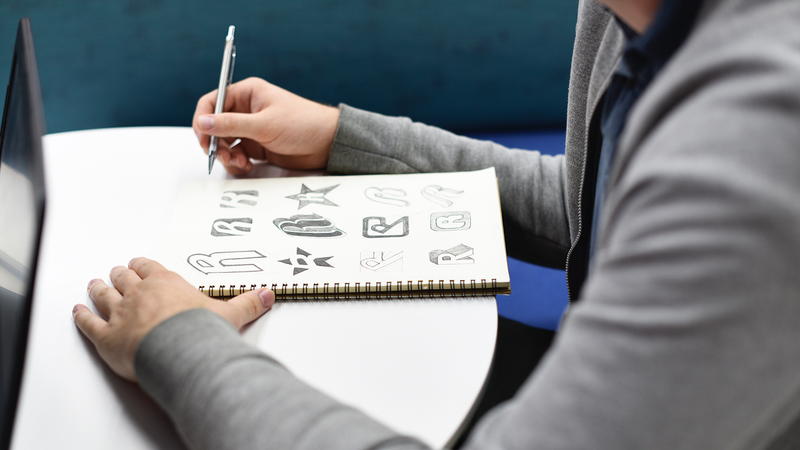 Check our Brand Survival Guide to find out what you need from a good brand identity project. Well 65% of humans are visual creatures and we use half our brain to process visual information. So, if you have a deep-down feeling of embarrassment when handing out your business card to a game changing client because you know you spent 2 hours whipping it up Microsoft Paint or in Canva then imagine what that game changing client is thinking? Don’t put yourself in that position, you physically can’t meet every possible customer that comes into contact with your brand, but your brand identity can. So, wouldn’t be a good investment to ensure your brand identity conveys the right message and story from the very second your customer visits your site, sees your ad, buys your product or calls up for your service?